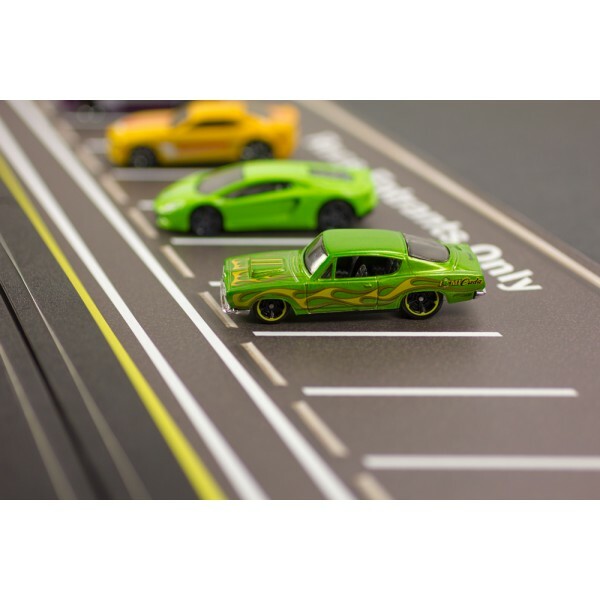 Style-1 features classic white & yellow angled parking spaces with that authentically real asphalt look. 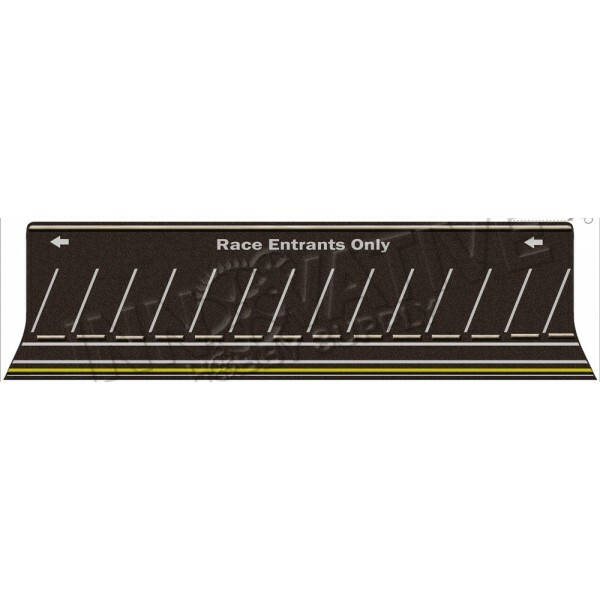 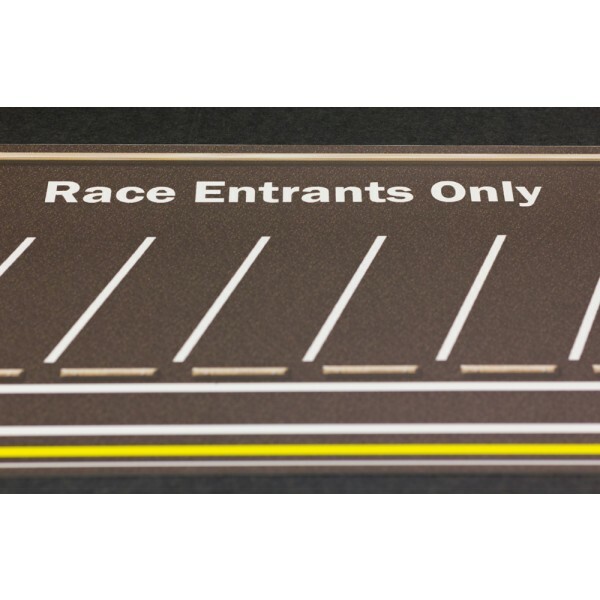 Our "Track Side Angled Line Parking Lot and Staging Area" is made with High Def "Photo Real" graphics on a smooth soft touch PVC Plastic PROFLEX. 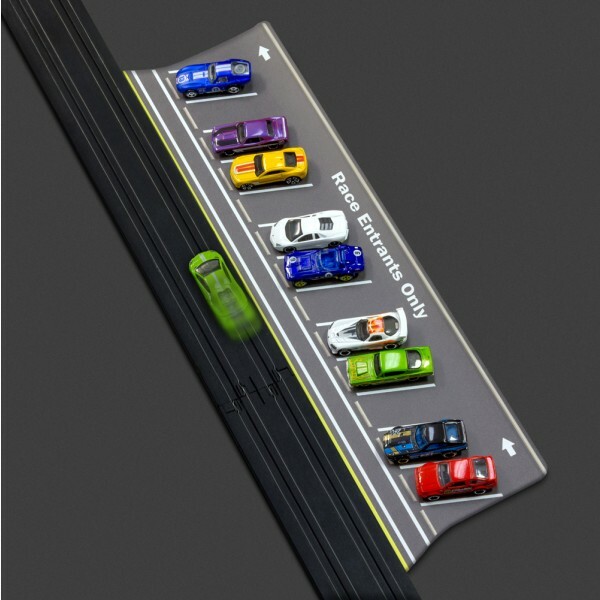 Each parking lot is waterproof, oil resistant, and made with a durable PVC material that is flexible which allows for easy storage.